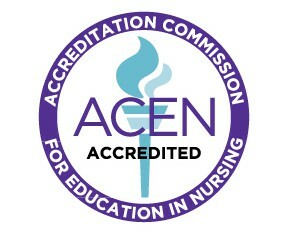 Northern New Mexico College’s Associate Degree Nursing (ADN) program has been awarded national accreditation by the Accreditation Commission for Education in Nursing (ACEN), 3343 Peachtree Road NE, Suite 850, Atlanta, Georgia 30326, http://www.acenursing.org/commission-actions-spring-2017/ (404) 975-5000. The ACEN Board of Commissioners granted initial accreditation to the associate degree nursing program during its meeting on July 20-21, 2017. Initial accreditation is a determination by the ACEN Board of Commissioners that a nursing program is in compliance with all accreditation standards. “This accreditation is a great achievement for our college and community and is a testament to the quality of Northern’s associate degree nursing program,” said Ellen Trabka, Dean of Northern’s College of Nursing and Health Sciences. “The program faculty, students, community advisory board and many others have worked incredibly hard over the years to insure the associate degree nursing program meets the highest national standards,” Trabka added. The ACEN accreditation means that both degree programs at Northern’s College of Nursing and Health Sciences are now accredited. Northern’s baccalaureate degree in nursing is accredited by the Commission on Collegiate Nursing Education (CCNE), One Dupont Circle NW, Suite 530, Washington, DC 20036, www.aacn.nche.edu/ccne-accreditation (202) 887-6791. “ACEN accreditation will benefit our students as they can be assured that Northern’s ADN program meets national standards of excellence in education,” said Theresa Lopez, Associate Degree Nursing Program Director. “I am delighted that the ADN program is able to join the ranks of all the other stellar educational programs offered at Northern that have attained national accreditation status. Northern New Mexico College is a small, under-resourced institution, but thanks to the dedication of our faculty and staff and the support of our community, we are able to give students the best start in their nursing careers,” added Lopez. Northern New Mexico College is a minority-serving institution, offering bachelor, associate, and certificate programs. The college primarily serves rural communities within a 40-mile radius of its campus in Española, New Mexico, within one of the most underserved regions in the state.